KRC Logistics has been performing Pool Distribution Services for your Midwest customers for decades. No company in the industry can provide the expertise and experience that KRC has to offer to you and your customers in the Midwest. With our main temp-controlled warehouse and company fleet of trucks, KRC is the solution to help with your reduced transit times, handling and overall transportation costs. 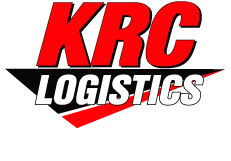 KRC will receive your inbound line hauls of LTL shipments on any day of the week, then immediately live unload and cross dock them onto multiple KRC trucks that depart the following day for the final mile delivery. Proven results in both transportation cost savings and improving on-time deliveries to your customers.